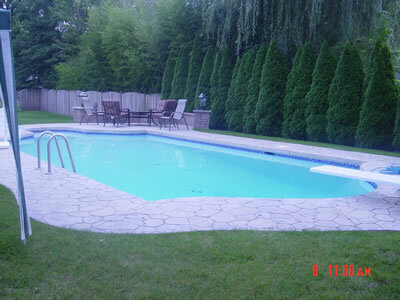 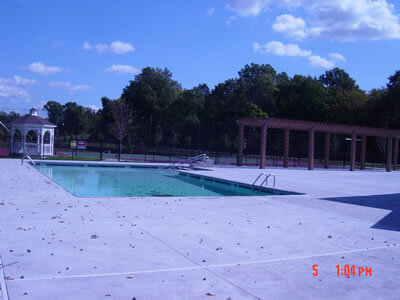 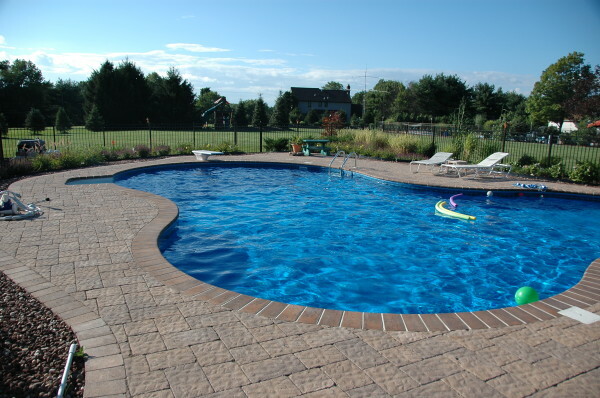 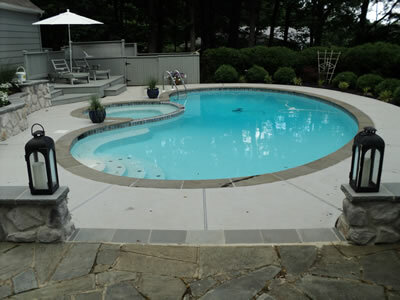 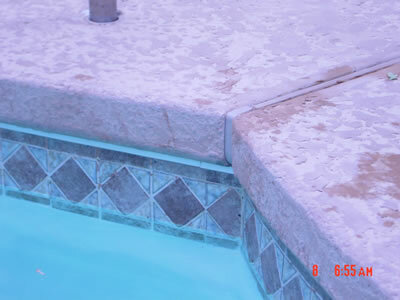 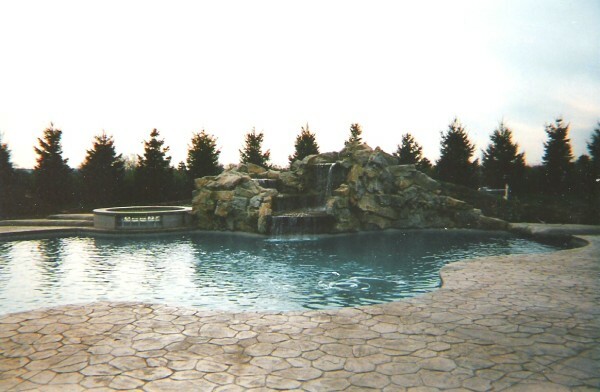 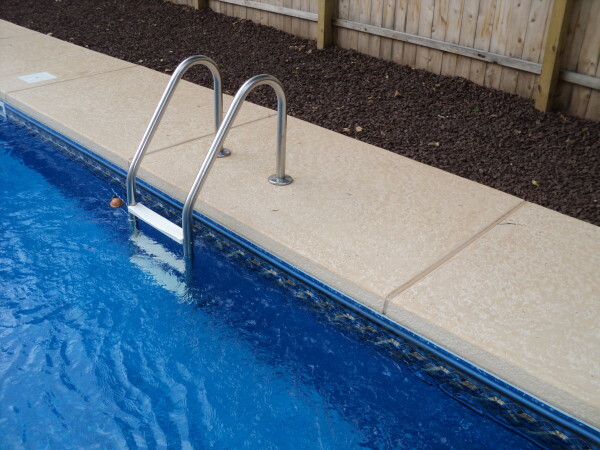 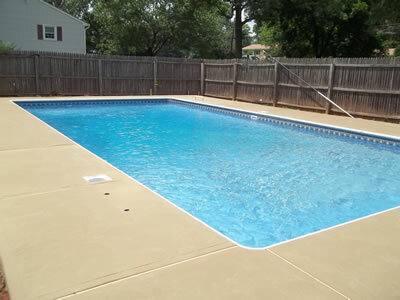 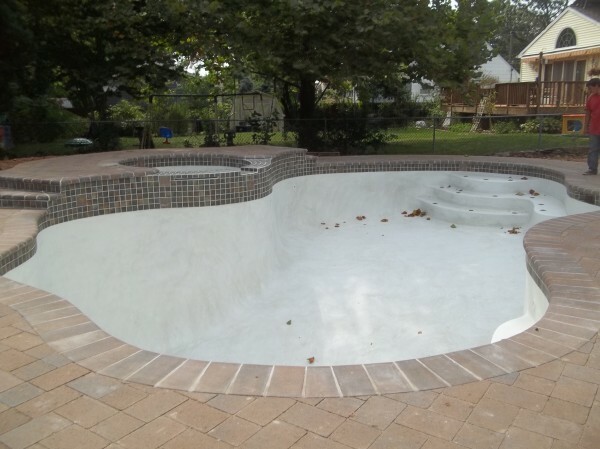 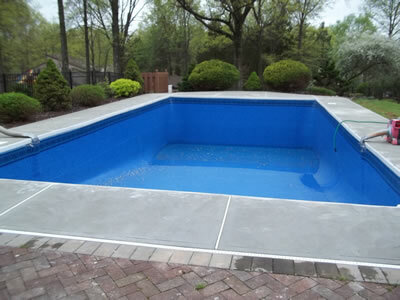 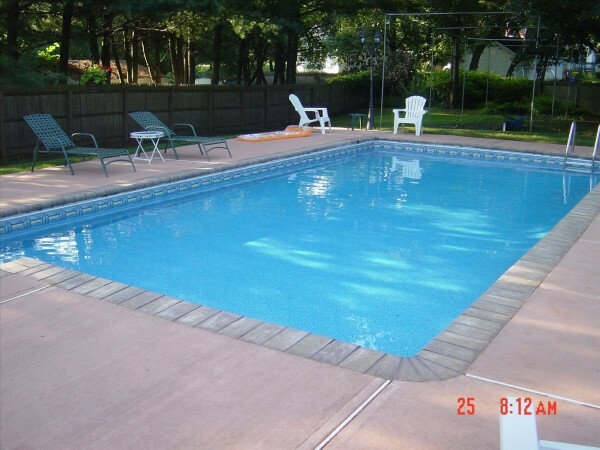 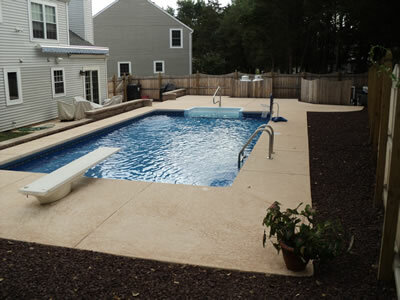 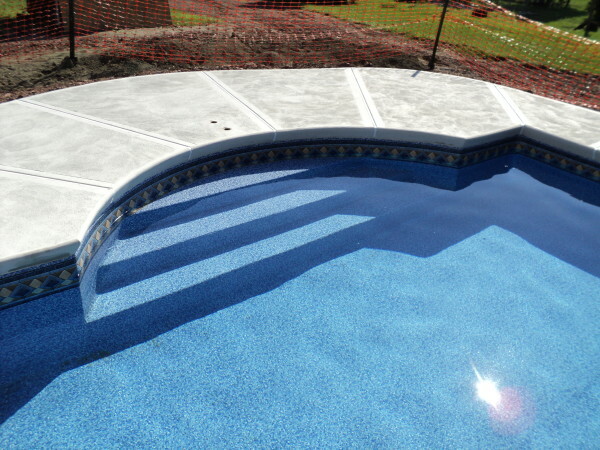 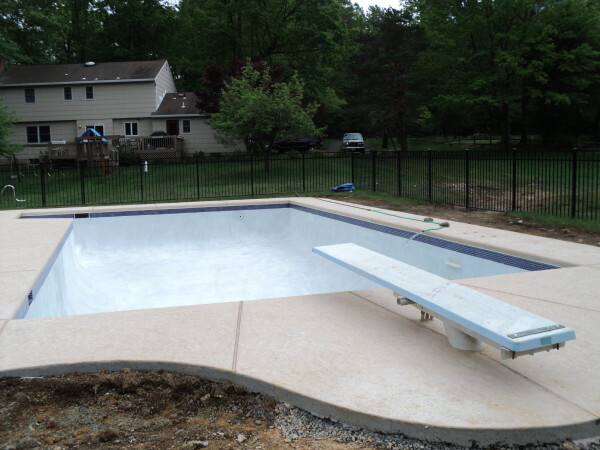 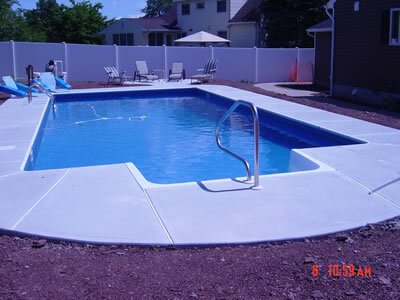 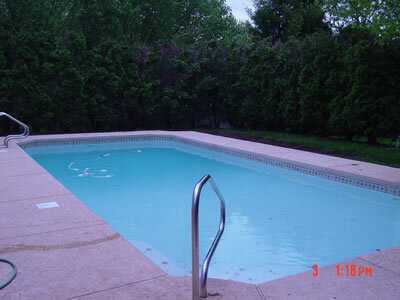 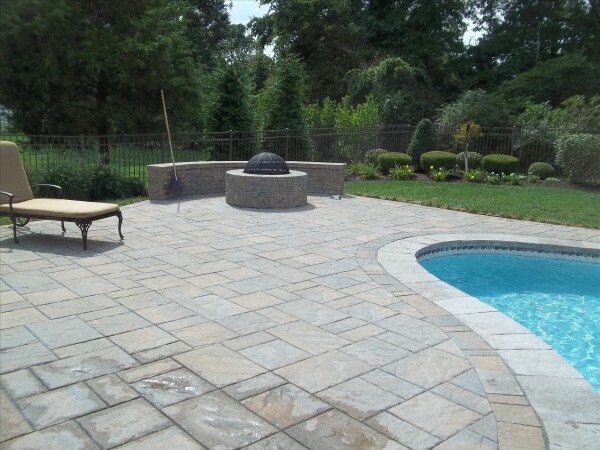 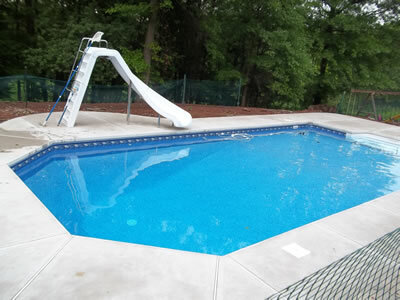 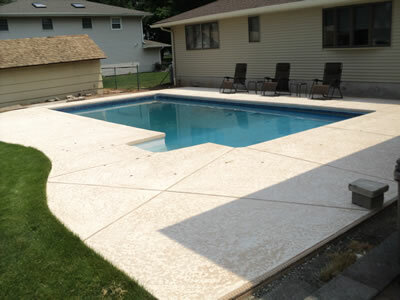 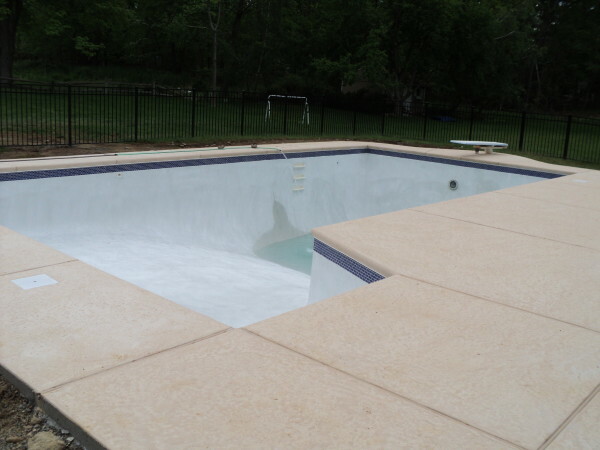 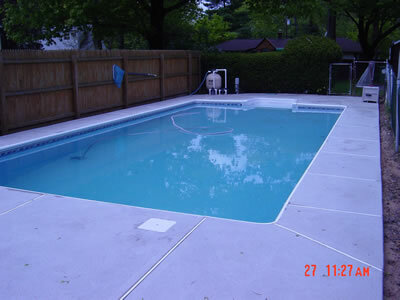 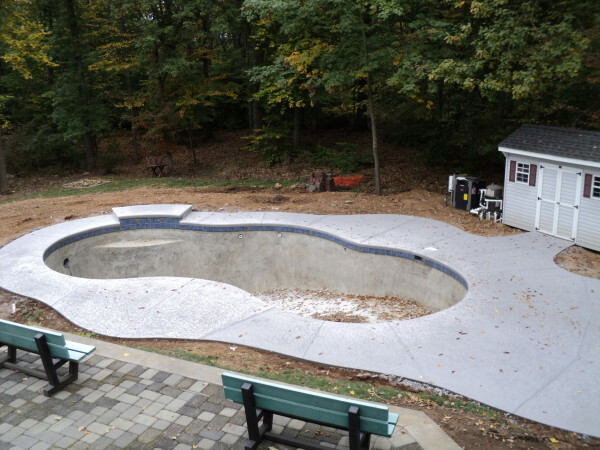 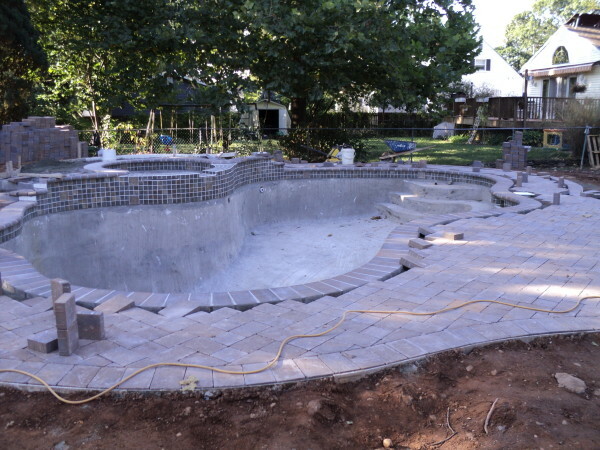 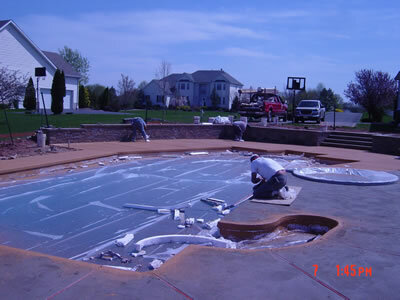 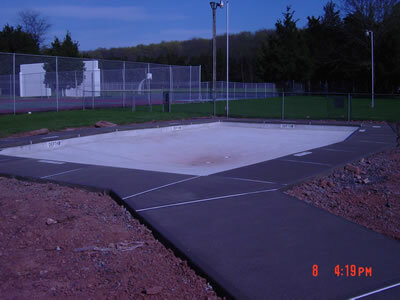 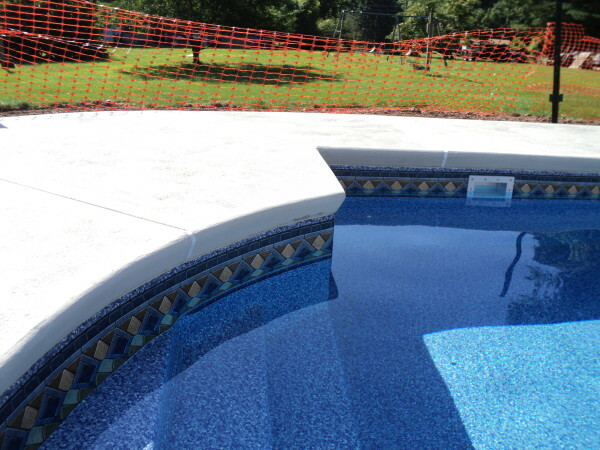 S&R Pool & Spa has many options to choose from when you are replacing your concrete deck. 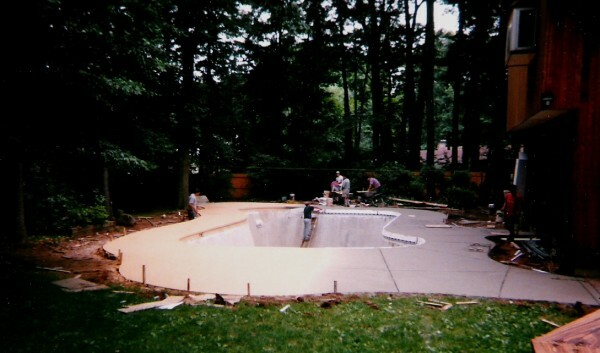 We will remove & dispose of your old deck, level & prep the area and form, and pour & finish the new concrete deck. 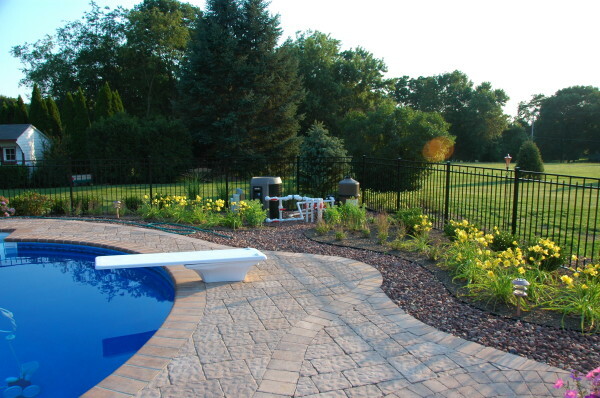 We have several decking options to choose from. 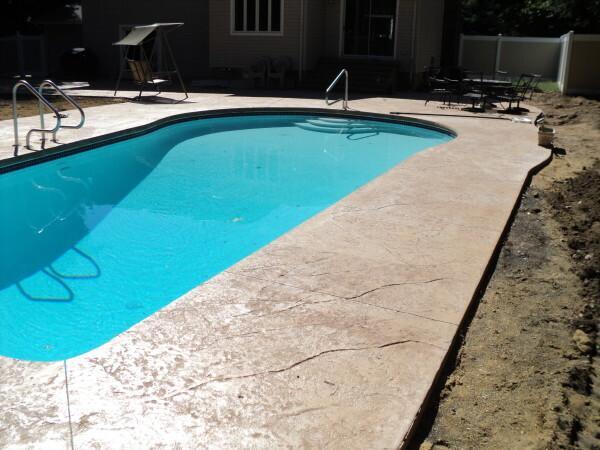 Regular concrete is our most economical choice. 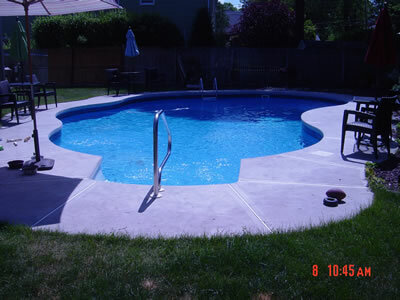 We Circular Trowel Finish all of our regular concrete. 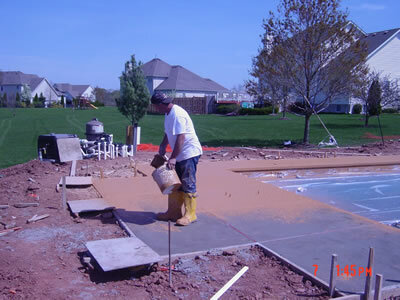 We do not broom finish our concrete like sidewalks on the side of the road. 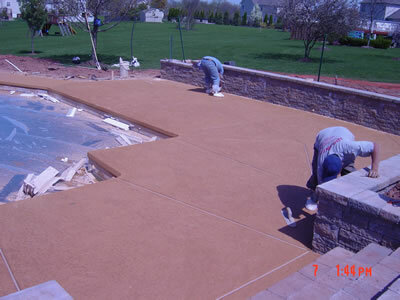 Our professional circular trowel finish will turn your regular concrete into a beautiful walking surface. 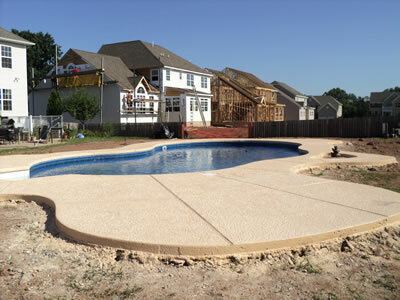 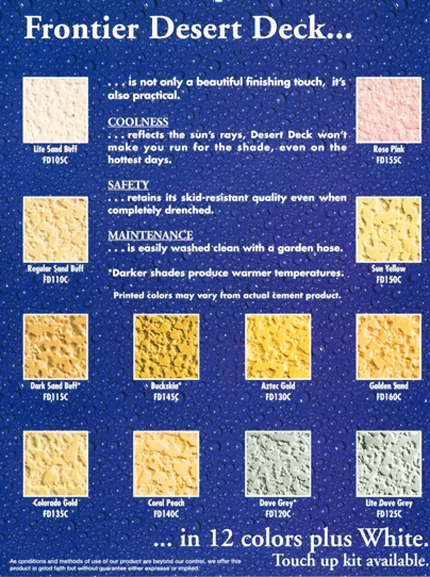 Kooldeck or Frontier Desert Deck is a textured colored concrete that will NOT get hot in the sun. 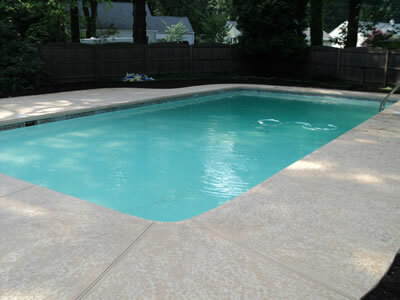 Kooldeck is available in 12 pastel shades and white. 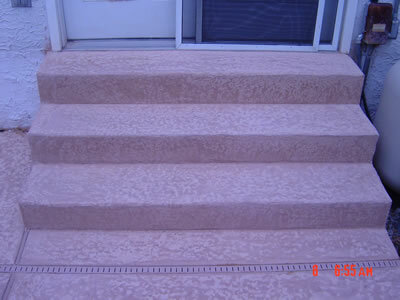 It has a non skid texture finish to prevent slipping , falling and injury. 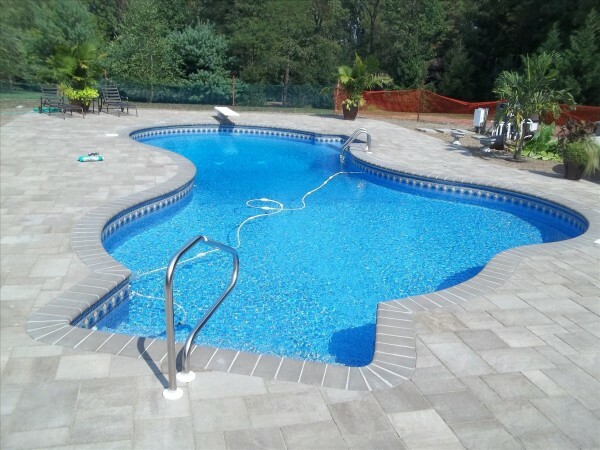 Stamp concrete is a colored imprinted concrete made to look like natural stone, Belgium block, pavers, wood, field stone and many other patterns. 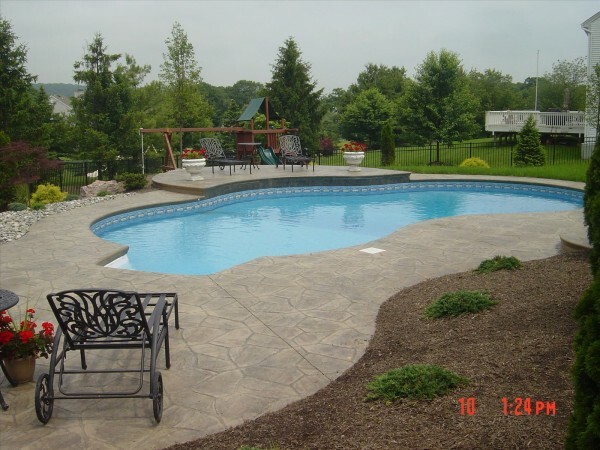 We use a 2 color release program to enhance the color variation to give the impression of the material being natural stone or whatever material pattern is selected. 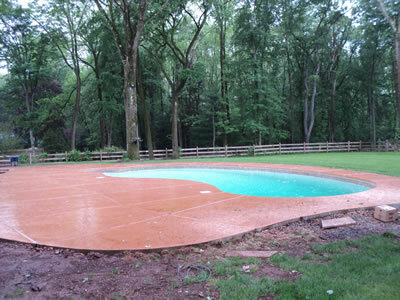 We power wash off the excess secondary color , saw cut out expansion joints and seal the color in to preserve the decks brilliance.